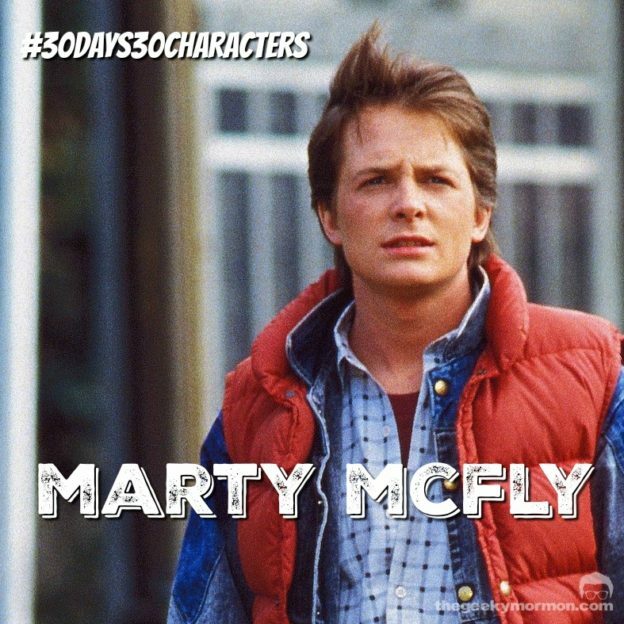 When your last name is McFly, you have to be pretty cool. Except, Marty isn’t that cool. In a lot of ways when we meet him, he is a loser. Or at least he feels that way. Yes, he’s in a band (not a great one) and he has a great girlfriend, but he’s not happy. His dad is a huge loser in his eyes, and is constantly the victim of lifelong bully, Biff Tannen. He’s not happy with his whole family situation, and to be honest, as we meet the McFlys, they kind of seem like losers. Of course, all of that changes by the end of the film after Marty has been sent back in time and has unintentionally altered the timeline. 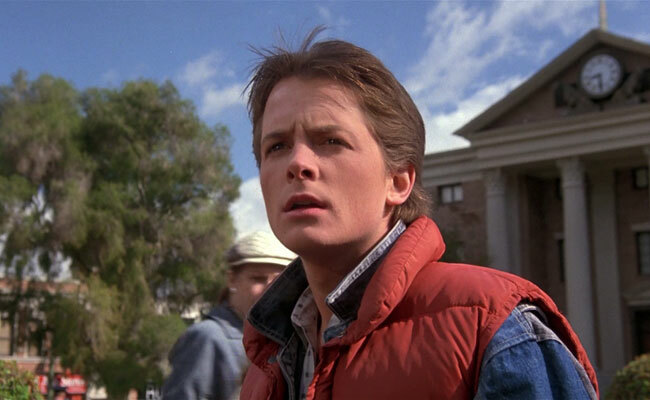 Back to the Future is one of the greatest time travel films of all time. Why? because it is intimidating SciFi. It’s heavy SciFi stuff, wrapped in an easy to consume package. The whole alternate timeline idea is complex, to say the least, but most people just see it as a fun 80s adventure flick. When we first meet him, he hates his family, and specifically his dad. Maybe hate is a strong word, but he definitely doesn’t respect his dad. When he accidentally gets sent back to 1955, he has the opportunity to meet his dad and see him in a whole new light. He discovers that his dad was just a typical kid in high school. Not the typical jock or popular kid, just the typical kid. He was an awkward, socially inept introvert. Ok, so maybe I juts like his dad because he was like me in high school. By helping his dad, Marty connects with him in a whole new way, and develops a whole new respect for him. He begins to understand his parents and sees them in a whole new light. The Back to the Future trilogy is all about family. It’s Marty connecting to his family, past, present and future. He realizes how important the decisions we make now might be for our family and loved ones in the future. It offers Marty a whole new outlook on life. That’s why i love Marty McFly.